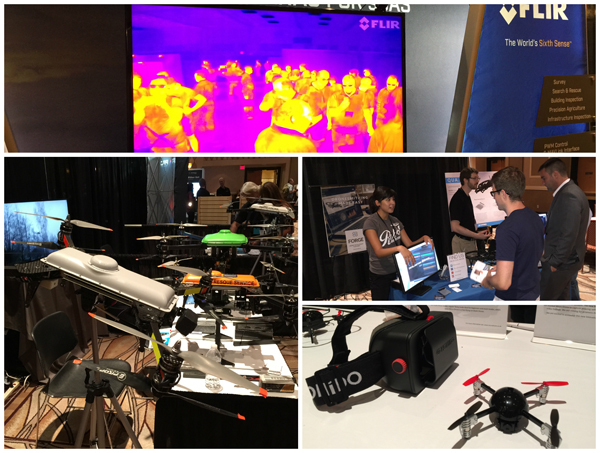 The InterDrone Expo took place from September 9 - 11th in Las Vegas, bringing together UAV hackers and makers from all over the world. There was a host of compelling keynote speeches from the likes of 3DR’s Chris Anderson and Parrot's Yannick Lévy. There were also lively panels, classes, and even a stunning film festival with footage taken only from UAV’s. It was a fun and intimate way to watch a fast growing market emerge. It was a rare conference where everyone from every company was accessible. Special shout outs to the Drone Code Project and Phil of Virt.Mobi. 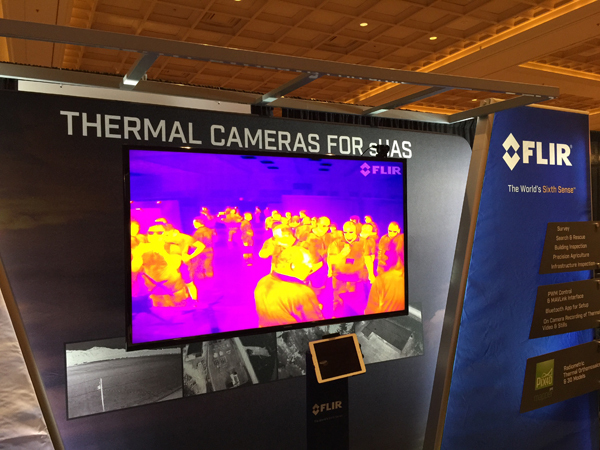 As usual, FLIR Systems Inc. had a packed booth full of live demos and future products. 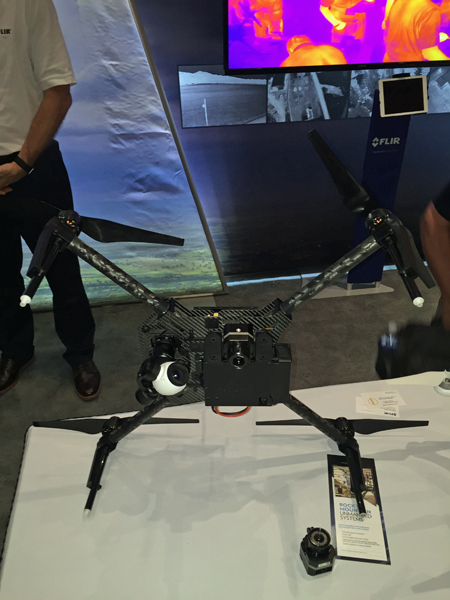 Their new commercial UAS-specific thermal camera, FLIR VUE Pro, was getting a lot of attention. It’s always fun to run into the FLIR peeps on our travels. 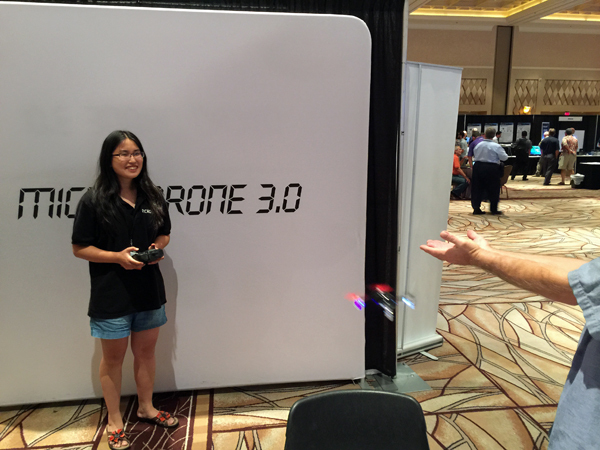 Another popular booth was Extreme Fliers and their highly anticipated MircoDrone 3.0. 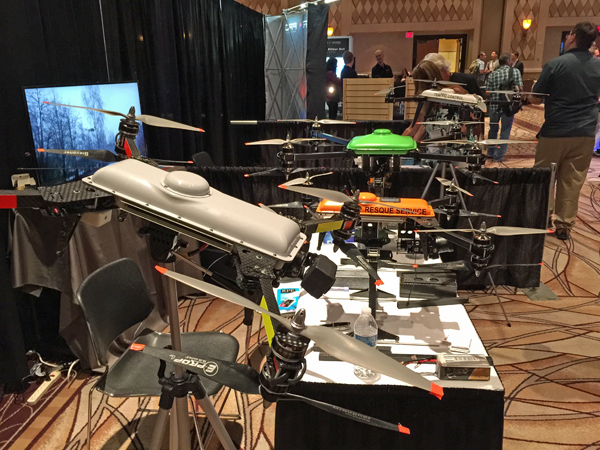 They had event attendees hold out their hands to land a tiny drone into palms. 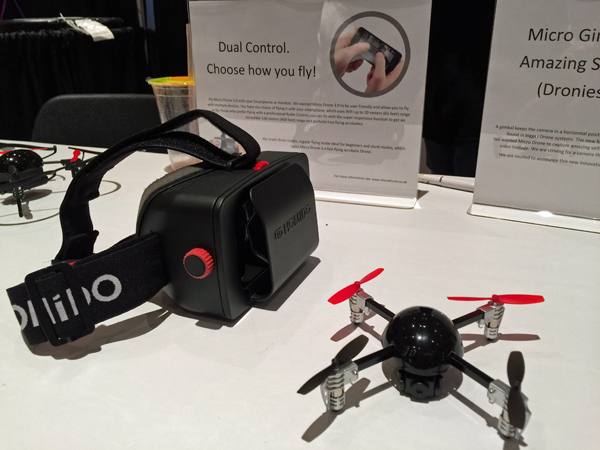 These little drones offer a ton of options in a small package and have already raised over $2.5 million on Indiegogo. 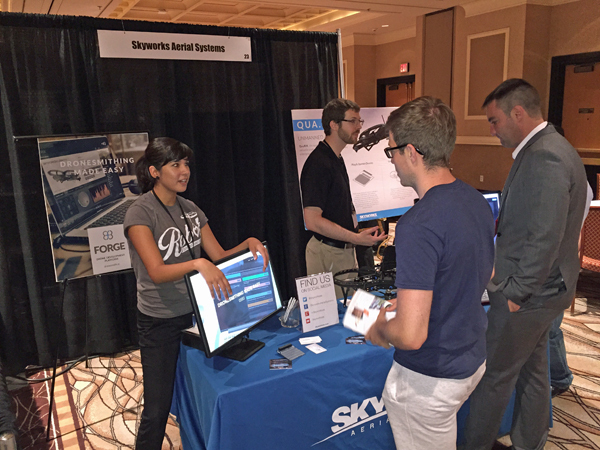 And of course, one of our favorite Vegas tech companies, Skyworks Aerial Systems was hanging out in the startup Hangar and promoting their programmable DIY drones. We hope to see them soon back home in Santa Barbara and maybe leave us a Quark to play with ;) We had an awesome time and were very happy to connect with like-minded drone enthusiasts. Until next year! GroupGets shares an inside look at the second generation FLIR One thermal imaging accessory.